Refugees from all over the world keep pouring into Europe in an endless tide. 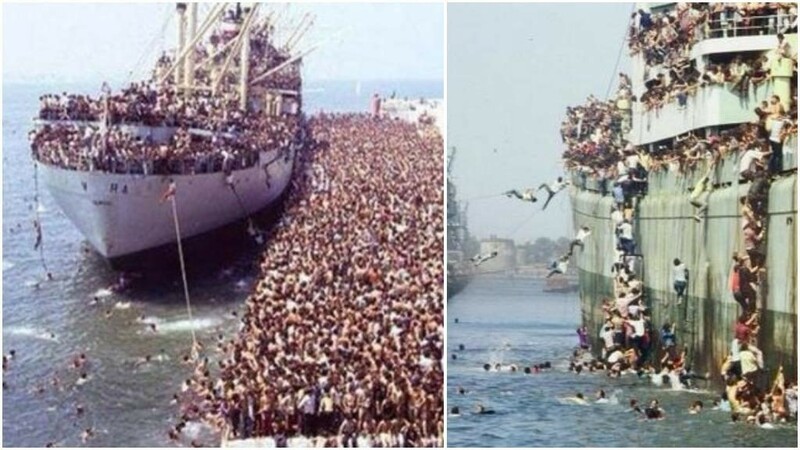 Apart from Matteo Salvini, there is not a single influential politician anywhere in Western Europe who is lifting a finger to stop this ongoing invasion of our homelands by hordes of African, Asian, and Middle Eastern migrants, all claiming to be “refugees.” And it just keeps getting worse. 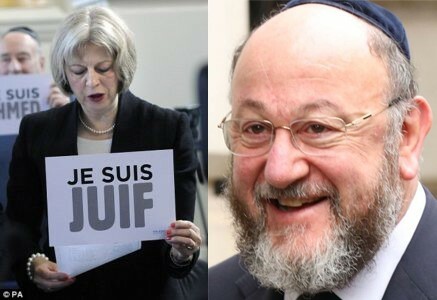 During the Christmas season more boatloads of illegal immigrants were welcomed into Britain by an inept and dysfunctional British government, most of whose MPs are incidentally “Friends of Israel.” These so-called “representatives of the people” seem to bend over backwards to appease the powerful Jewish lobby here, ignoring the wishes and diktats of this small minority at their peril, a situation not unfamiliar to our equally pressured American confrères. For more on this subject, and in particular on the Jewish role in promoting mass immigration, see this meticulously documented article by Andrew Joyce. In the words of Kevin MacDonald, quoted here be Joyce: “Jewish organizations have uniformly advocated high levels of immigration of all racial and ethnic groups into Western societies and have also advocated a multicultural model for these societies” (here). Thank you very much TOO and LD! Yesterday, Los Angeles “successfully” negotiated with teachers striking over classes that are way too large (and diminished in effectiveness due to a number of obvious problems including English not being the first language of most of the students), the good reason. And a pay raise, probably more like the real reason. It is important to understand that these are simply comorbidities and symptoms rather that the fundamental problem. It is important to synthesize rather than throw-out what was an idea put forth by advocates from population control such as Paul Ehrlich that, whatever your cause, its lost unless we control population. 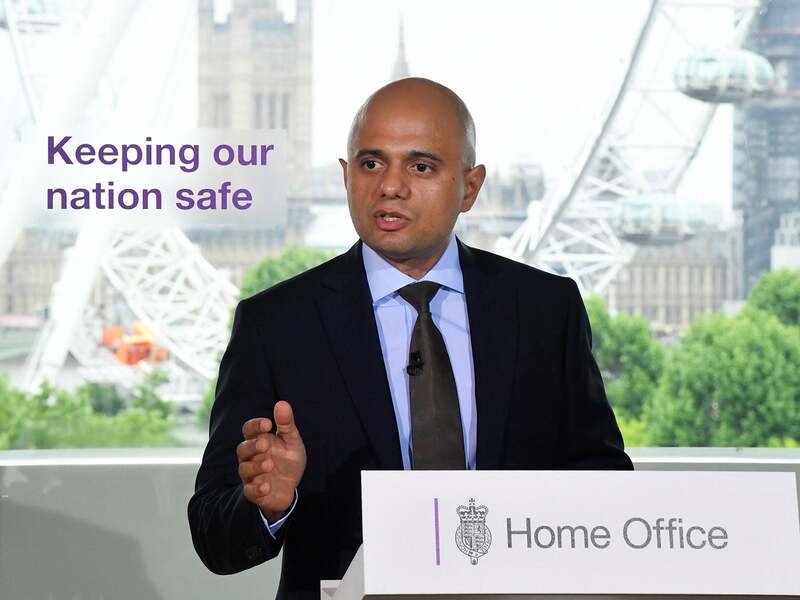 Simply substitute the word migration for population. Anything else is simply distraction– shoveling sand against the tide– and a distraction. It’s up to each country to control its population. This must not be an international crusade. Tribe-member Paul Ehrlich published a book titled “The Golden Door.” It advocated high levels of Third World immigration. The restriction of reproduction that was termed essential by Ehrlich was meant to apply only to Caucasians. Yes, Ehrlich’s a racial Jew and was a professor at left-liberal Stanford. But I haven’t seen evidence of your assertion he’s advocated non-White-western immigration. My understanding is that regardless of who expressed it, including Garrett Hardin (See his essays esp. Lifeboat Ethics), whatever cause is being advocated (here) is lost unless we White-westerners control or reverse non-White-western immigration. Whites have to make a difficult adjustment to this harsh reality. I can assure you, there WILL be a deeply “difficult adjustment” – though it will most certainly not be the one you fondly imagine. 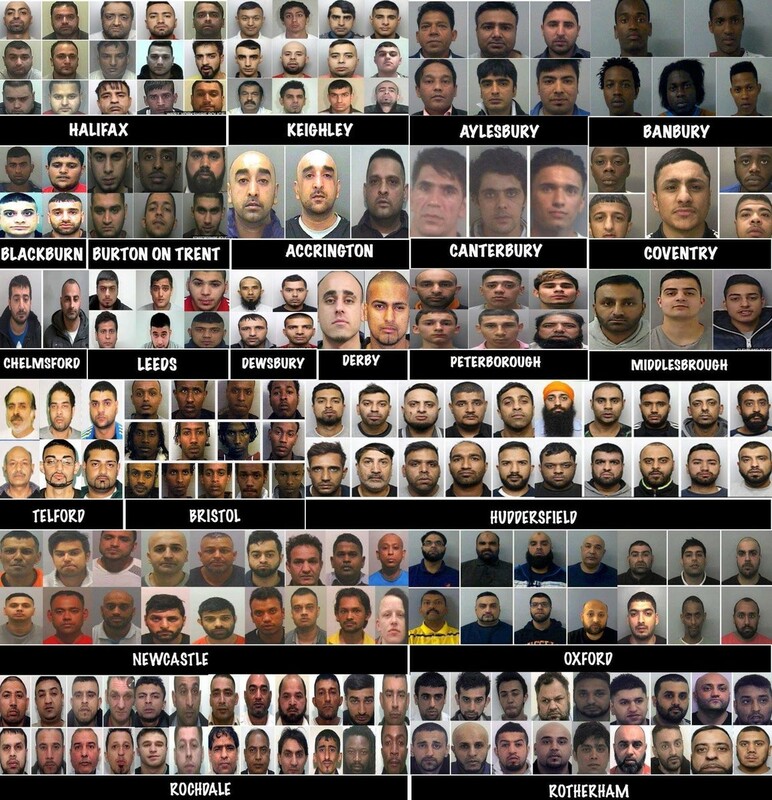 I cannot think but that these immigrants will eventually overtake the political order in Europe and take control of the armed forces and the weapons of mass destruction. Then what? Excellent article (as usual) by Dr. Darkmoon. Will stopping the invasion be a sufficient remedy? 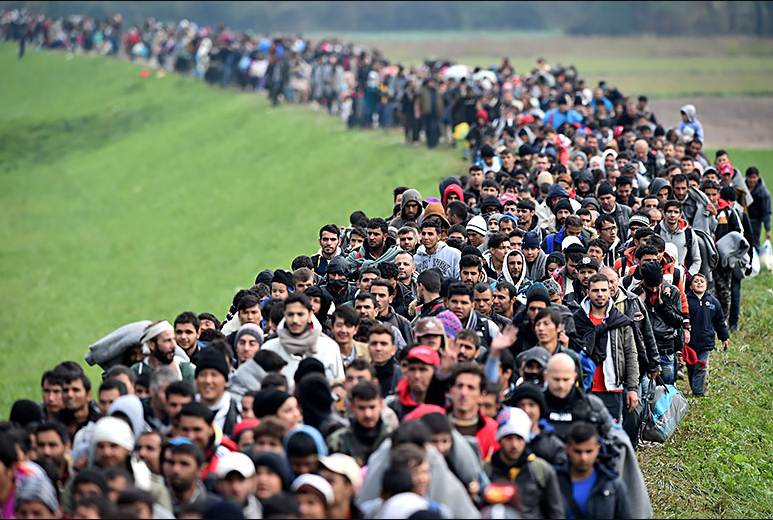 To really save Europe, won’t it be necessary to repatriate the Third Worlders who have already settled there? This would presumably be much more difficult than halting new arrivals. The alien parasites would scorn any attempt to persuade them to leave voluntarily, and they would fight like demons to resist deportation. Any European country that tries to expel the invaders will probably have to pay a high price in blood, treasure and international opprobrium. Orwell spoke of the power of facing unpleasant facts. And it is a power. Probably the only power left us right now. And the unpleasant fact we have to face now is that these are dark days in deed. Using force for self-defense would be selfish and morally impermissible. But wait. . .
Morality- Christian morality- requires making oneself into a doormat. Until it doesn’t. Others before self is a basic Christian teaching. . .
Tom: I believe that you have planted a seed in Little Miss Dummy’s brain, I really do. That is why she won’t talk to you anymore: she is terrified that you succeeded in making a crack in her consciousness and cannot bear to own up to the fact that she is now a different person. She will never be the same, she knows what is going on, and rage is the only response she knows. For now. I recall ranting against “racism” 25 years ago. It is true. God (however you see the universal order) works in mysterious ways his wonders to perform. she is now a different person. She will never be the same, she knows what is going on, and rage is the only response she knows. Funny you should mention that. I’ve often wondered what kind of traffic this site would get if it didn’t have do that. In fact, I’ve often thought that they do that, or were told to, exactly so they wouldn’t have traffic. It’s like a ball and chain. If, by their own admission, most White identification is implicit, not explicit, why think you can change something so deeply ingrained. It seems foolhardy, given the difficulty, not to mention the risk. In any event, it’s certainly a question worth asking. As well as another one. Right now it loks like the invasion will continue without a peep of protest until Europe is as much of a shithole as Africa. The elites will still be doing just fine though, while the white mainstream will allow themselves to be raped and tortured to death as penance for their inborn racism. “Civil war”, “revolution”… whatever. You can call it whatever you like. I truly believe now the only important element is that they must all die. I wish the Americans would end their occupation of Europe. They have been here too long.They desroyed the European empires, kicked the Europeans out of Africa, helped the Central Powers in WW1, sent the Japanese South to save the USSR, caused the cold war which wasted 5 Trillion USD, ordered th UK to accept Windians in the late 1940’s murdered Gen Zia, Benazir Bhutto,the Shah of Iran, Hugo Chavez, ordered the UK Argentine war to remove Gen Galtieri, caused the troubles in Ireland and God knows what else.There will be no end to the invasion of Europe as long as the Americans and their stooges are in place. 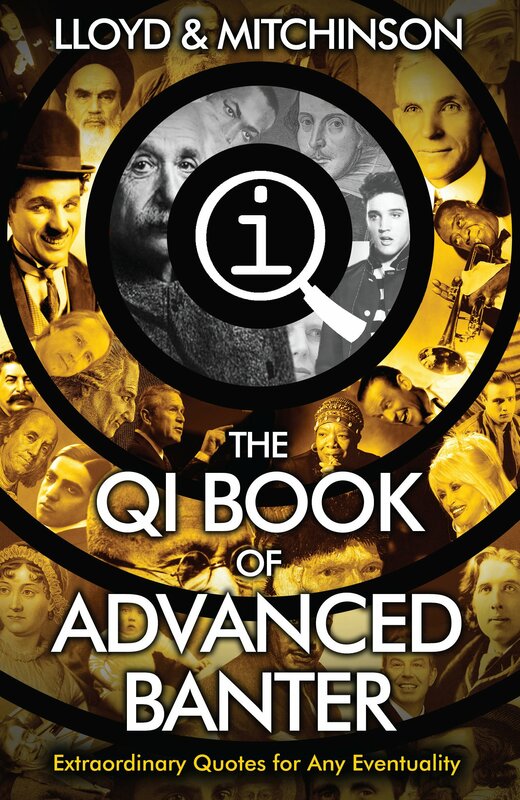 I know most of this because I am related the a Jew banking family in London.They disowned my side of the family for being communists, although the Bank of England funded Lenin. The family and friends have total contempt for the Americans but I was never allowed to know what they call the Americans. “Yankee, go home”? As framed here, this is nothing but a specimen of blowhardism. Why haven’t you directed the demand at those who are positioned to make it a reality: namely, your “Jew banking family” and your other Jewish relatives? The point of my mentioning Ehrlich was neither to promote the man nor his positions. It was simply to credit him for the idea that made and makes sense to me: Whatever one’s natural resource protection cause– White genetic and cultural preservation through separation included– its lost unless we control population and that of course means both legal and illegal immigration. Just having read a few words about Evola, I recalled that he was against biologically based racialism. He also yammered on and on about “freedom” which I guess he saw as trumping biology. Anybody who talks about Evola in any positive way, should be ridiculed. It is all biology. Totally. Not that Bad Ideas do not play a role amongst and probably only Whites. Whites do have something close to the term “pathological altruism” and that is heavily related to affluence. as in plenty of money to go around. When the going gets tougher, and the State can no longer afford keeping all the duds and misshapen babies around as pets for the lonely hearts, especially when the State pays for it, then things will change. Europe is getting a bit woke about the trash coming in from the South. Extinguishing the deformed white babies as well as the trash from the global South will become more and more salient, especially if economics demand it. We need a depression to sober white folks up. Meanwhile civil war will sharpen matters here at home, and lots of people will be killed, starting probably with Whites who hate each other. As somebody on Fox Jews put it a while back, he said he did not understand where the libs and rads talked all their trash talk when Whites got all the guns. These folks think they are invulnerable. Pathological Altruism only infects Whites. True enough. But there is a large element of opportunism in it, and of curse, conformism. It also is contingent, again, on affluence. The upper-middle could care less about paying high taxes….up to a point…to keep the biologically unfit happy in their animal existence. When the welfare rolls are trimmed,….etc. The biology of white altruism is limited to relatively good economic times. Hopefully that will change soon. Also, the latest trend by our enemies with regard to welfare, is to put Blacks and Browns in Free Houses out in the suburbs. We will see how that works out. Another essential is for White women to have babies, to contain their LOVE quotient and keep it within the bounds of family and race. Is your name joe webb, or Joe Webb? 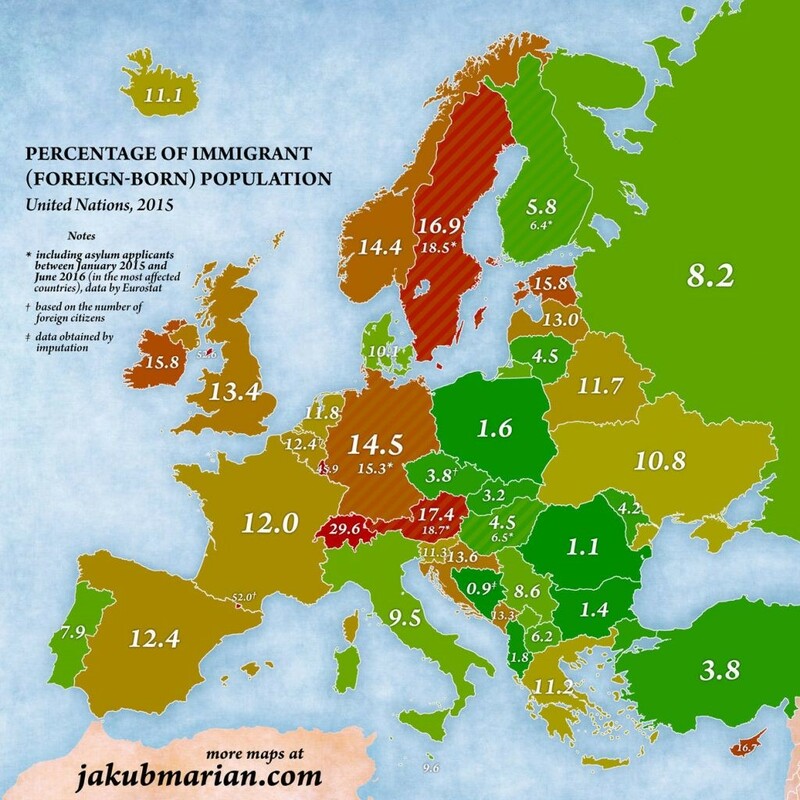 Regarding the map of percentage foreign-born — to be really useful, we need to see percentage of foreign-born who are non-European. Plus a heat map of *their* offspring. Because that’s the real measure of whether you’ve been fully conquered. Indeed. For Switzerland for example the percentage of “foreign born” is given as 29,6. But the percentage of Muslims is only 5,2 and for other non-Christian religions only 1,7. Thus only about 7% of the Swiss population may be of non-European descent. In the Baltic states, Belarus and the Ukraine the “foreign born” are overwhelmingly of European descent. I agree, I read Ehrlich’s Population Bomb when 11 or so, at the time, world population was less than half than that of now. I don’t believe (at least from that book alone, and I recently bought a second-hand copy and re-read it as an adult) that it was in any way specifically anti-white. He spends some time on India, discussing the difficulty (or impossibility) of making a dent. I have the ‘notify’ button, so will be keen to read other comments re. Ehrlich, have only read The Population Bomb, and a couple of short essays, where, sure, he seems to be a tribalist neocon. Of course, Indira Ghandi started trying for India, but was assassinated for her efforts. India is still bad, but now replaced by various Moslem and sub-Saharan African places as the worst in the world. Leftists like to make all sorts of excuses, but for example, look at photographs of the world from space since the early ones, Africa is the worst, desertification is very widespread. For another good example, look at an aerial or satellite photo of the border between the Dominican Republic and Haiti. The former quite green, the latter a mass of mud. Nothing green anywhere. In any case, Erlich’s old book may have been a little premature, but as the human and sub-human population screams up towards 10,000,000, 000, it will hit a wall. The overuse of resources by elites is a factor, but overpopulation, almost invariably by near beasts, is *the* problem, with, for we of European descent, all of (((their))) hideous ideological creations having taken root in all too many, blinding too many people to reality.